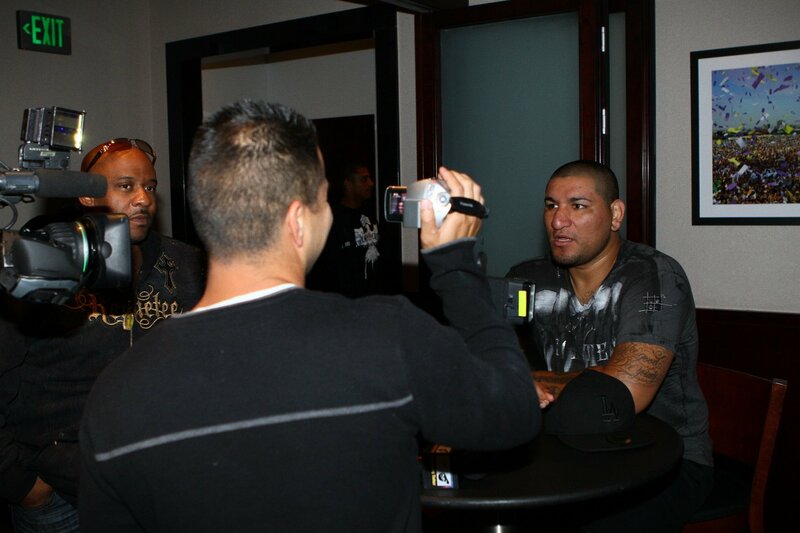 On Wednesday, Chris Arreola and Tomasz Adamek held a public workout prior to their upcoming Ring of Fire heavyweight clash this Saturday evening. 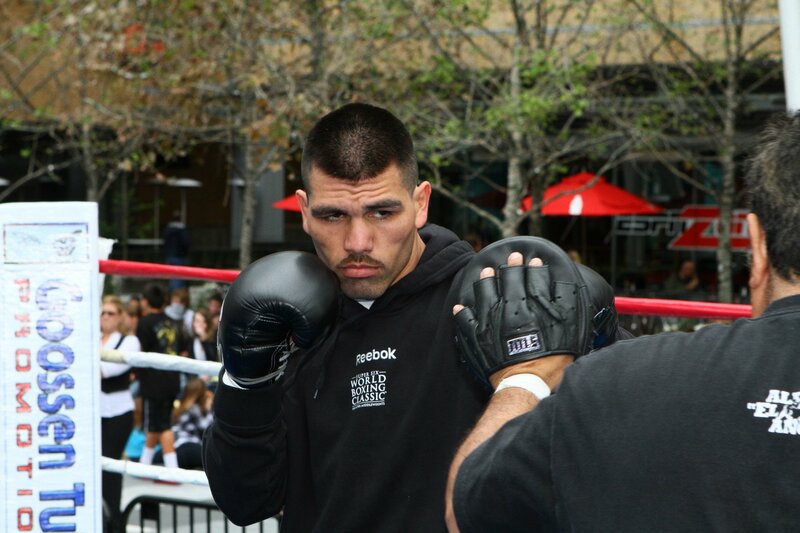 Alfredo Angulo and Joel Julio also were at the public workout, as they are the main undercard bout on the HBO televised portion of the card. Check out a photo gallery of the event and quotes from all of the fighters involved. It should be a great evening of boxing this Saturday evening. “I’ll fight anybody, anywhere but it’s great to be fighting at home. It’s always good to fight in your backyard because you don’t have to travel anywhere, you can sleep in your own bed, eat home-cooked meals and you can go to your favorite restaurants. 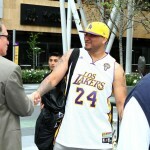 “The disadvantages are that everybody and their brother are trying to hit me up for tickets. I have to tell them to (get lost). “There’s never pressure on me. This is what I do. I fight for the fans and it’s my job to win and entertain them and that is what is going down on Saturday. “I’m the big man in this fight and I’m going to bring it to him. I’m sure Adamek is going to stick-and-move, which is what he has done since he’s moved up from light heavyweight and cruiserweight. I’d be pleasantly shocked but happy if he tried to stand and fight and exchange with me. “But he’s never faced a guy that hits like me. 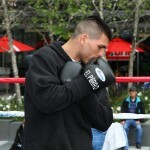 You can’t compare how he did against Jason Estrada with how he might do against me because Estrada can’t punch. He got away with things against Estrada that he definitely will not be able to get away with against me. “I’m on a mission to do something no boxer has ever done. I want to be the first light heavyweight, cruiserweight and heavyweight world champion. So I’m fighting for myself and history. “One of my main strengths is my ability to adapt so I have a lot of options. 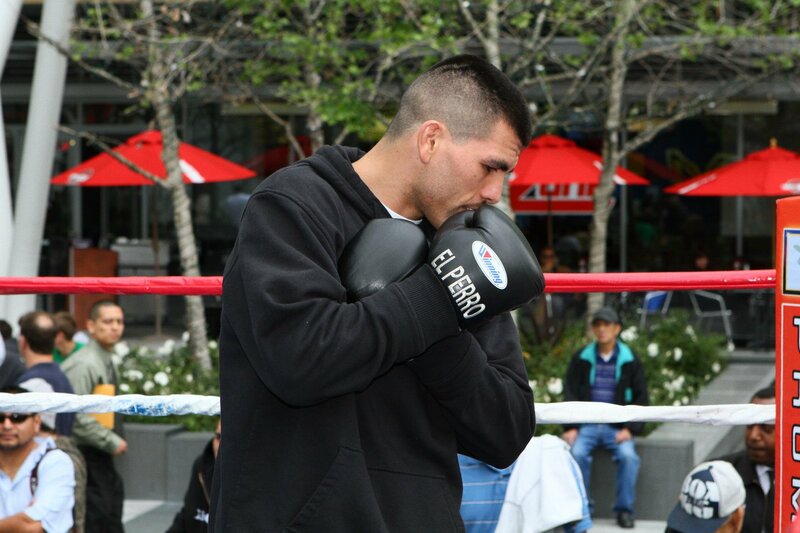 I am prepared for everything Arreola brings to the fight. You can say whatever beforehand, but it’s how you deal with what’s happening in the ring when it happens that counts and I will know what to do when it’s time to do it. “I expect a tough fight, of course, and nothing else. All fights at this level are tough and one punch can change everything. I will fight smart and box. I am not going to just stand there in front of him, but I won run either. “Actually, fighting at the heavier weights has been better for me because the guys are slower, I can see the punches better and they take longer to get there. “Joel Julio is a very good opponent. We know the press likes him and HBO likes him. But when it’s all said and done, everyone is going to like me. “I know everything I have to know about Julio. He loves to come forward and he can punch. But when he comes forward on Saturday, I’ll be right in front of him. He won’t have to go looking for me. There is no secret to his style or mine. “I train five-minute rounds so I am very well-prepared and ready to go 12 hard rounds if necessary. I never look for an early knockout or expect the fight to end early. “This is a very important fight for me and a big opportunity to defeat a great, highly regarded fighter and re-establish myself as a legitimate contender. 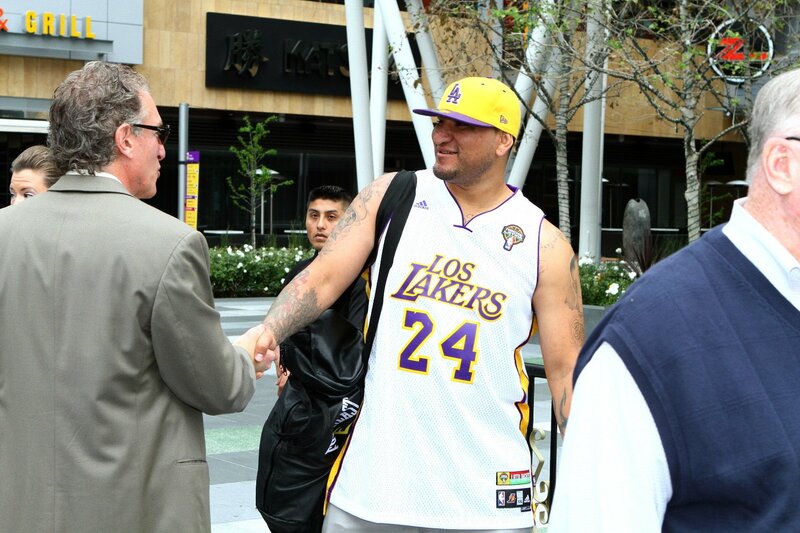 On Saturday, the fans will see the real Joel Julio. It’s time for me to show the world that I am a talented, elite fighter and it’s my chance to win back my fans. “I have a new team, new trainer and a new, fresh outlook. I have a conditioning coach for the first time so I know I will be in the best shape of my life. Having a conditioning coach makes me not only physically better, but mentally better, too. “Now, I know I can just go out and fight. I blame all my losses on not being in top shape. 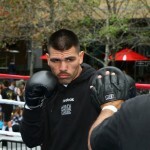 “Angulo is a dangerous fighter, very strong and a powerful puncher. But I have the full package and can do a lot of things. This fight can go in a lot of different directions, but I can’t help but think it is going to be a slugfest. Tune back in Saturday evening to ProBoxing-Fans.com, where you’ll find live Arreola vs. Adamek results and fight coverage, and all of the boxing news updates you need.